Sue Phillips is currently in her 15th year as the Program Director and member of the coaching staff of the San Jose Cagers women’s basketball program. She is also in her 23nd year as a math teacher and the head coach of women’s basketball at Archbishop Mitty High School where she maintains a high school record of 638 – 124, including last season’s Central Coast Section Championship title. Under Coach Phillips’ direction, Archbishop Mitty High has captured 22 WCAL league titles, 19 CCS titles, 12 Northern California titles, and 6 CIF state championships. In 1999, Coach Phillips guided the women’s varsity team to its first state title at the Division I level. That same year, the Monarchs finished with a 31-0 record, and Coach Phillips was named National Coach-of-the-Year by Student Sports Magazine. In 2000, aside from coaching at Archbishop Mitty High, Coach Phillips spent the year as the lead assistant of the women’s basketball program at the University of California, Berkeley. In 2004, American Quarterly Basketball named her as one of five high school coaches in the country that “you should know.” Coach Phillips’ program at Archbishop Mitty has produced over 50 NCAA Division One athletes including WNBA standout Danielle Robinson and Olympian Kerri Walsh. Aside from her tenure as a voting member of USA Basketball’s Player Selection Committee, Coach Phillips was honored to have been selected as the Head Coach for Team USA Basketball’s U16 Women’s National Team. Coach Phillips successfully guided Team USA’s U16 girls to a perfect record and gold medal win at the 2013 FIBA Americas Championships in Cancun, Mexico. Just this past month, Coach Phillips was named Developmental Coach of the Year by USA Basketball. Coach Phillips has also teamed up with Nike. The Archbishop Mitty High women’s basketball program is a Nike sponsored program and maintains a varsity apparel sponsorship with the company. 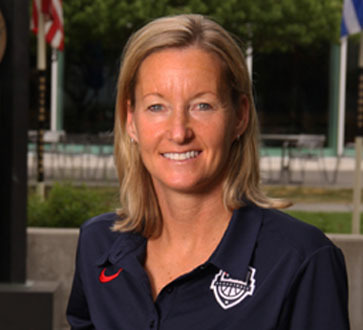 Coach Phillips assists Nike as a Regional Nike Skills Academy Coach and, over the past two years, Sue has been a Nike Championship Clinic Speaker in Chicago, Portland and St. Louis where she has given her presentation on Defensive Systems for Success. Coach Phillips graduated from Archbishop Mitty High in 1986 with several scholarship offers. Choosing to play softball at Northwestern University over basketball at Cal, Sue became an All-Big Ten and All-Region player for the Wildcats before returning to Mitty as a math teacher and coach. She resides in San Jose. The following areas are of key importance in Coach Phillips’ philosophy towards coaching. In a recent article published by the American Medical Society for Sports Medicine (AMSSM), the dangers of too much training and competition were discussed. “Not only are overuse injuries in young athletes likely much more common than is realized, these injuries can require lengthy recovery periods, and in some cases, they can result in long-term health consequences,” says lead author John P. DiFiori, M.D., Chief of Sports Medicine and Non-Operative Orthopaedics at UCLA, and AMSSM President. As an organization, the Cagers understand the competitive nature of basketball and the trend of sport specialization. We realize that balancing both the academic and athletic demands of high school might lend itself to choosing a single sport, however, we want to guard against sport specialization at an age when it it is not necessary. We choose to not offer a year round program for grades 5 – 8, so that these young athletes can play multiple sports and reduce the risk of overuse injuries and burnout. 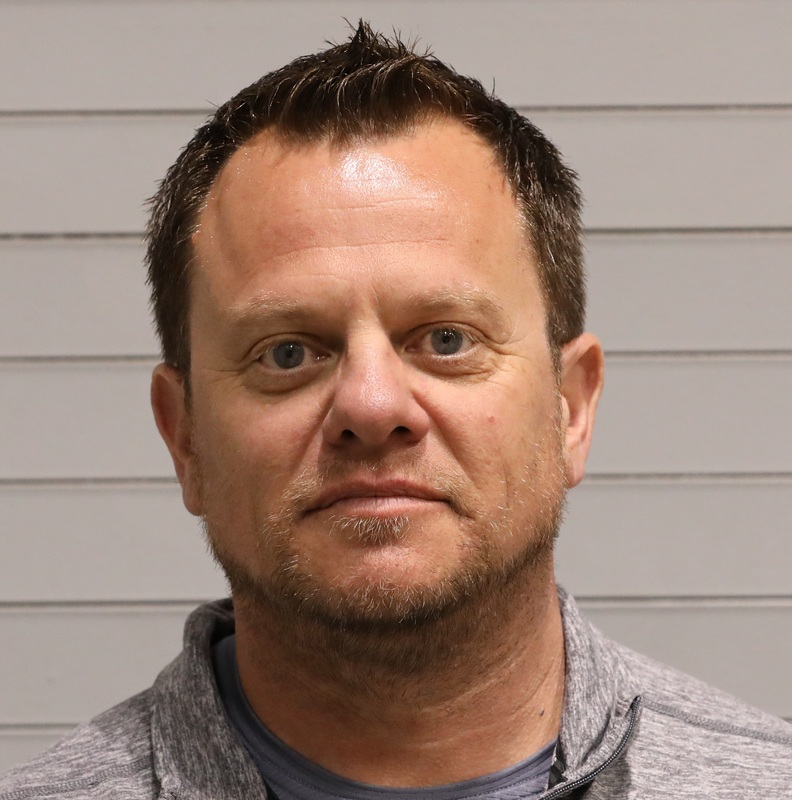 Jeff just completed his fifth year coaching at Archbishop Mitty High School, where he currently serves as the head coach for the women’s junior varsity team. He was also on the coaching staff of the 2016 women’s varsity team that won the WCAL and CCS Open Division Championship. Jeff has been a part of two state championships, three NorCal championships, and four WCAL championships. Prior to that he coached at Cupertino High School, St Justin School and for the Bay Area Tarheels. In his spare time, Jeff is a volunteer coach for the San Jose Ninja Youth Club and enjoys hunting and fishing. 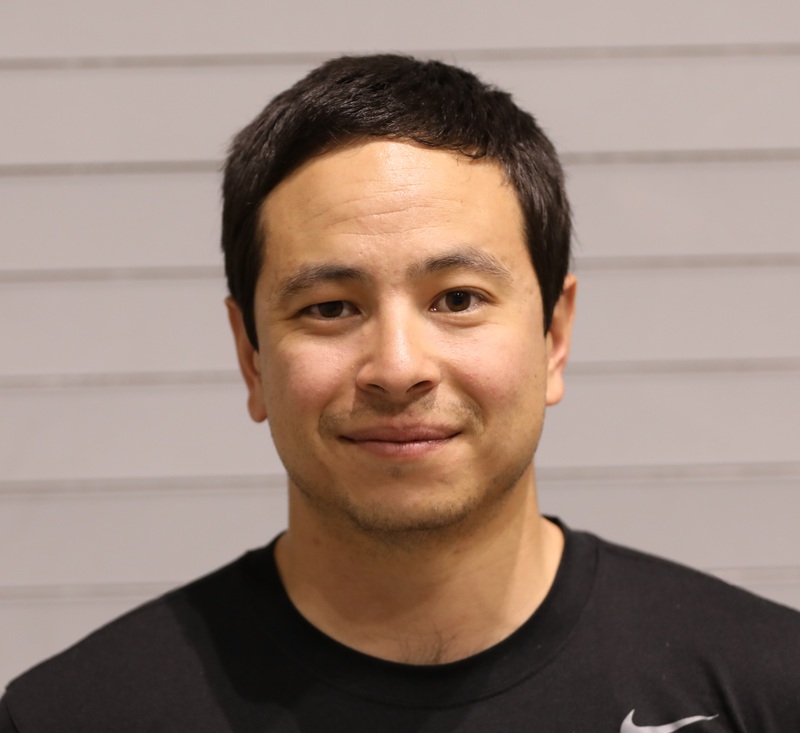 David “Coach Matt” Doyon has been a member of the San Jose Cagers coaching staff since 2011. He is married to his wife Alta and has a daughter Tatiana in her twenties. Coach Matt is a 7th grade English/Language Arts and Social Studies teacher at Peter Burnett Middle School in San Jose, Ca. He holds a bachelor’s degree in Liberal Studies from NHU and a master’s degree in Education from UCSC. 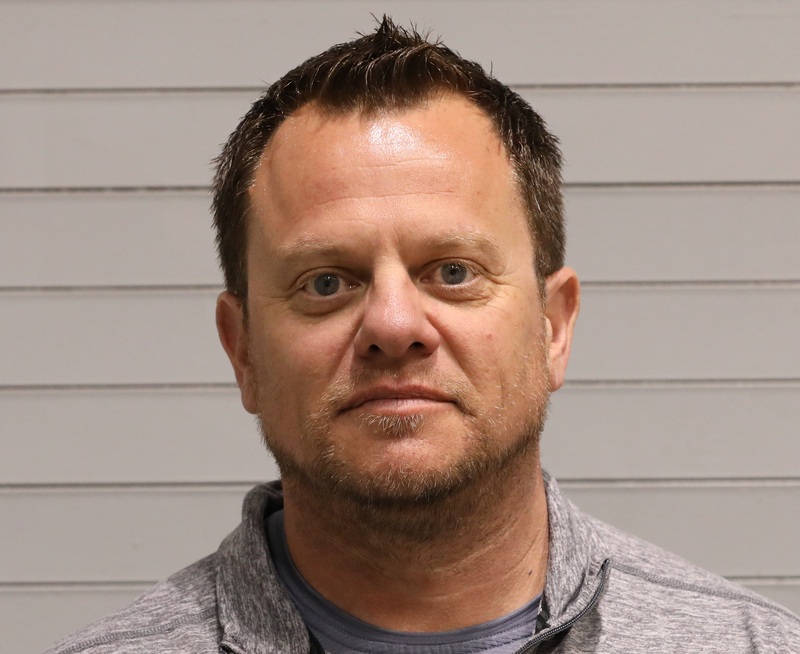 His previous coaching experience includes head coaching and assistant positions at Piedmont Middle School and James Lick High School. Also, Coach Matt has been involved in coaching and officiating NJB and AAU club basketball since 2003. Matt is currently the frosh assistant coach for women’s basketball at Archbishop Mitty High School. He believes that players are students first and athletes second and incorporates that philosophy into his basketball pedagogy. Jessica brings not only her knowledge of basketball but also her experience as a strength and conditioning coach to the San Jose Cagers program. She played basketball for Saratoga High School and the West Valley Basketball Club before heading south to earn her B.S. in Kinesiology from the University of Southern California, where she was fortunate enough to work for the women’s basketball program. Upon returning to the Bay Area, she coached at Valley Christian High School and worked as the assistant strength and conditioning coach at Menlo School. She currently works as a personal trainer and strength and conditioning coach at Bay Club Courtside and NorCal Functional Fitness and is thrilled to be returning to the San Jose Cagers for her second year.